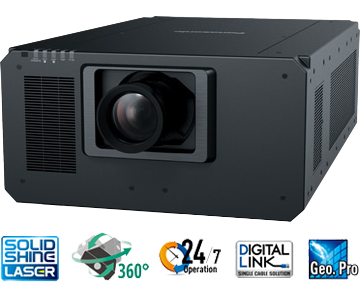 Ultra-bright 27,000 lm*1 3-chip DLP™ SOLID SHINE laser projection. Quad pixel drive technology creates breathtakingly detailed 4K images. 31,000 lm (Center)*1/30,000 lm of brightness from an exceptionally compact and lightweight body. 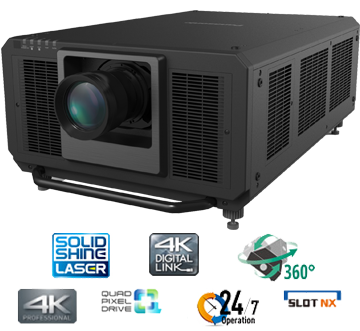 Proprietary SOLID SHINE laser technology delivers bright and immersive picture quality and enables minimal maintenance under continuous operation*2. Real Motion Processor frame-creation technology reproduces smooth video images with minimal motion blur. 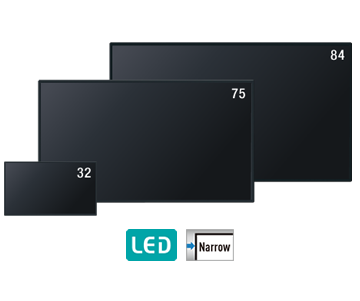 Up to 10,400 lm*3 brightness in a compact and lightweight design. Up to 20,000 hours of continuous maintenance free operation*4. 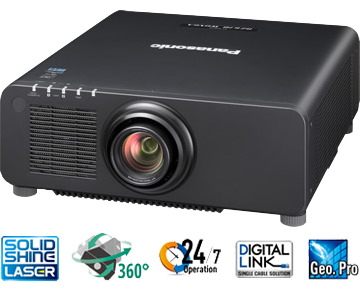 Providing a variety of advanced features, such as DIGITAL LINK connectivity, free 360-degree installation capability, multi-screen projection and geometric adjustment. Museum/Exhibition, Simulation, Control Room, Auditorium/Seminar Room, Digital Signage and more. New-generation laser diode delivers 5,400 lm (Center)*1/5,200 lm of brightness. 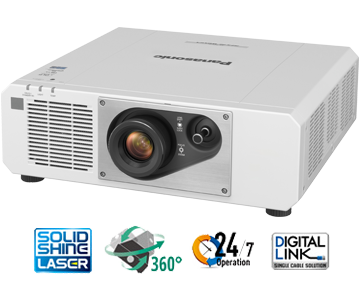 Laser light source with original Panasonic technology delivers approximately 20,000 hours*4 of continuous operation. 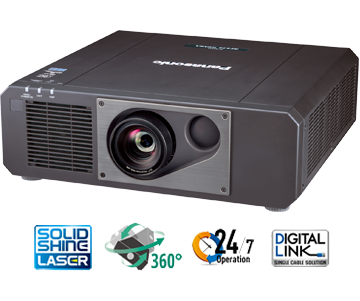 SOLID SHINE laser technolgy with the lastest diodes delivers high 4,800 lm brightness. Up to 20,000 hours of continuous maintenance-free operation*4. Selectable operational modes extend service life to up to 10 years. 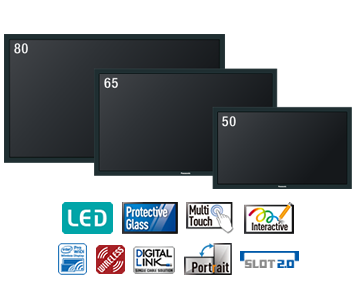 Free 360-degree vertical and horizontal installation. Class room, Museum/Exhibition, Simulation, Seminar room, Board room and more. 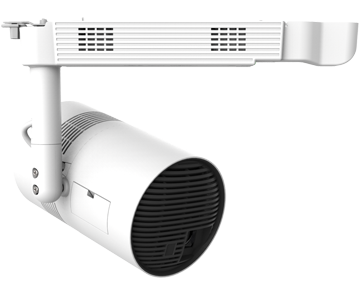 2,000 lm of brightness from a stylish and compact design. Simple terminal layout including HDMI, USB, LAN and SD card slot. Rental, Showrooms, reception areas, museums, exhibitions and more. Note: The product design and information shown above is tentative. Specifications and appearance are subject to change without notice. *2 Light source lifetime may be reduced depending on environmental conditions. Replacement of parts other than the light source may be required in a shorter period. 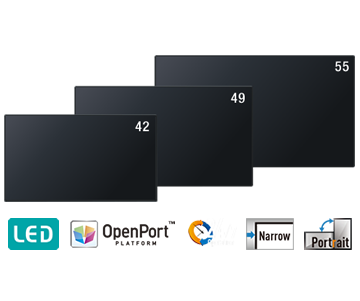 *5 Geometry Manager Pro is available only with PT-RZ970. Available timing varies dependent on region.